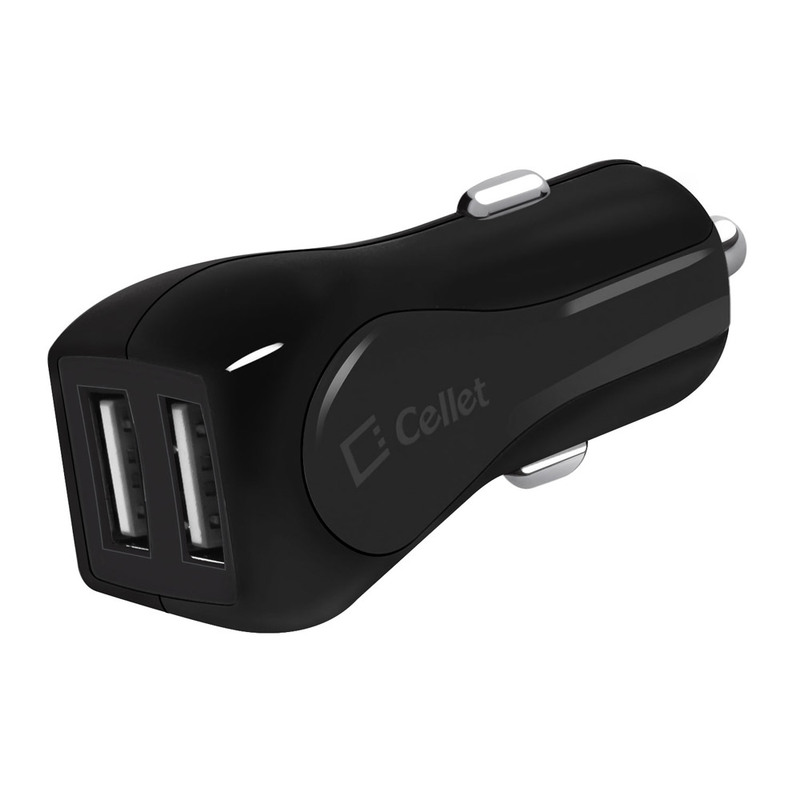 With its sleek compact design, the Cellet Prism RapidCharge Dual USB Car Charger provides easy access to USB ports while plugged into a car cigarette outlet and the Blue LED light indicator shows the device is plugged in and charging. Charger provides 12Watt (2.4Amp) of power that can charge up (to two) smartphones at the same time or a tablet with a smartphone and the Built-in smart IC chip technology prevents a device from overcurrent, overcharging and overheating. Universal Dual USB ports allows users to use existing USB charging cables to charge an Apple, Android or any USB powered device at the same time.